It was a home run. I don’t know who hit it. 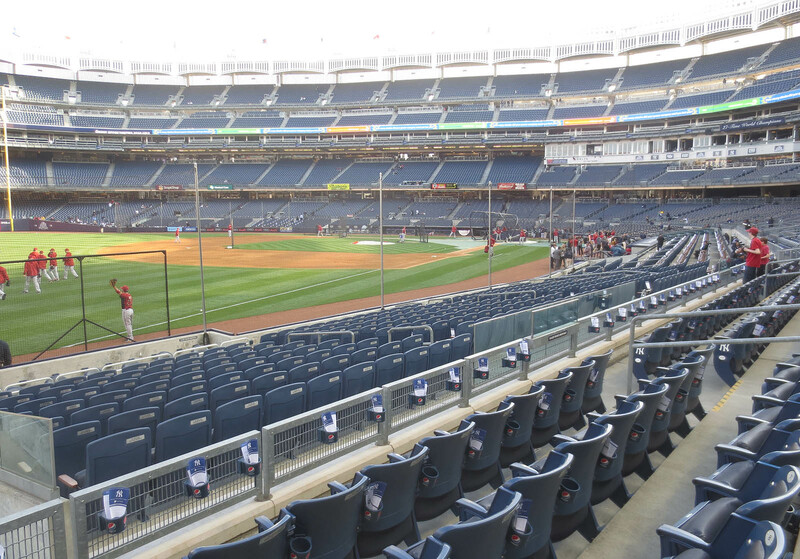 All I can tell you is that I ran the full length of that empty row and caught it on the fly near the side-fence of the bullpen. Then I headed into foul territory . . .
. . . and had to compete with my friend Greg Barasch for toss-ups for the next few minutes. (In the photo above, he’s the taller of the two fans standing on the right in red D’backs gear.) 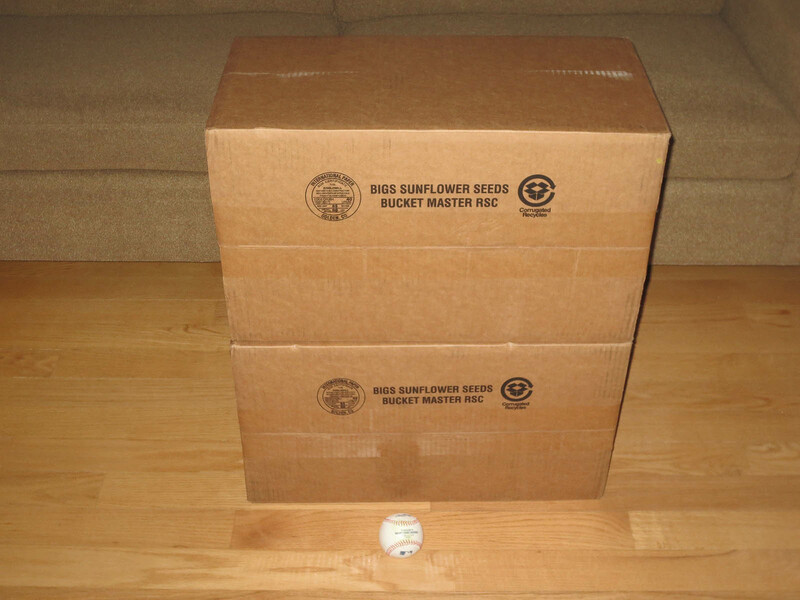 I ended up getting two baseballs in that area — one from Cliff Pennington and another from pitching coach Charles Nagy. He started by asking me how my off-season was, and the conversation took off from there. I told him that I’d emailed and texted him over the winter about writing a book with him, but never heard back. He told me that his email address had changed, and he started giving me the new one, but it was kind of long and complicated, and he didn’t want any of the fans standing near me to overhear him, so we started talking about his phone number. I grabbed my iPhone and pulled up his contact info and read him the last four digits. After he returned my phone, he told me that he had actually been thinking of calling me about doing a book together. “You’re the only person I know who writes books,” he said. “I *was* once clocked throwing 79 miles per hour,” I told him. “But I’ve probably lost 10 to 15 ticks on the gun since then,” I confessed. Then I asked him how his wife and kids are doing — they’re still living in California, he said — and how his off-season was. The main thing he talked about was the difference between the Marlins and Diamondbacks and how his mechanics got all screwed up last season and how the Marlins tried to fix him their way (which didn’t work) and how the D’backs have taken a much better approach and helped him HIS way. We talked about his mechanics for a bit. You know how he has that little jump-step where he sort of goes up high and then comes back down before pitching the ball? Well, that’s the main thing that he’s been working on. He said his velocity is fine and WAS fine last season, so he really couldn’t understand what was wrong. It was great to talk about all this stuff with him. 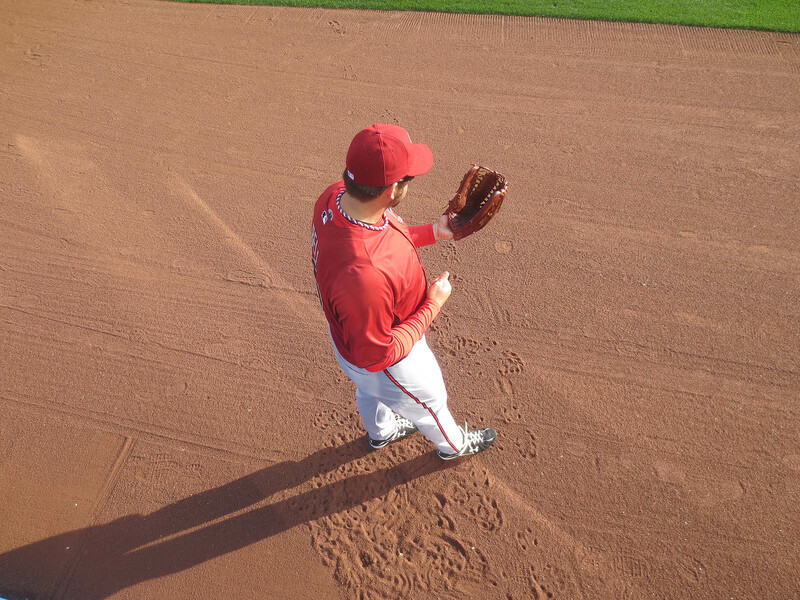 “I should get you a glove,” he said — so then we talked about gloves for a while. Then I told him that I’m being sponsored this season by BIGS Sunflower Seeds. 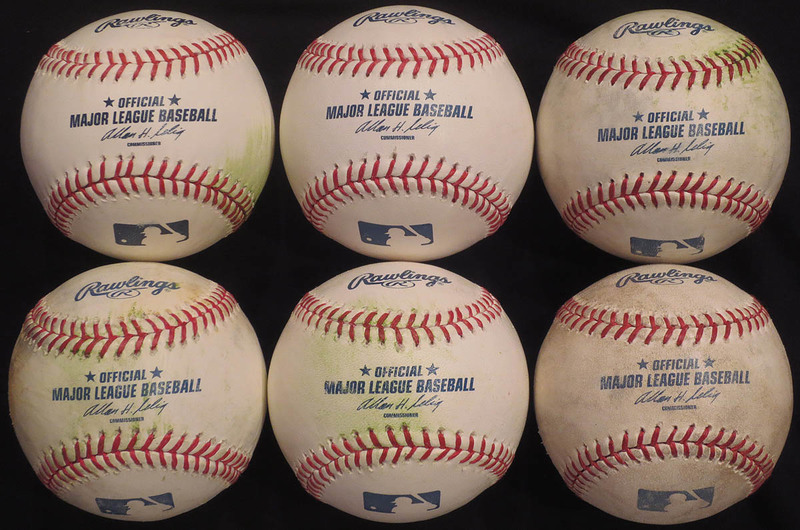 I mentioned that they’re gonna be sending me to all 30 major league stadiums and challenging me to snag a game-used ball at each venue, and that for each place where I succeed, they’re going to donate $500 to Pitch In For Baseball. (Heath knows about that charity because he made a sizable donation to it through my fundraiser in 2009. By the way, did you know that Pitch In For Baseball was recently featured on the NBC Nightly News with Brian Williams? Click here to watch the segment.) I told Heath that I’ll see him in San Francisco next week. 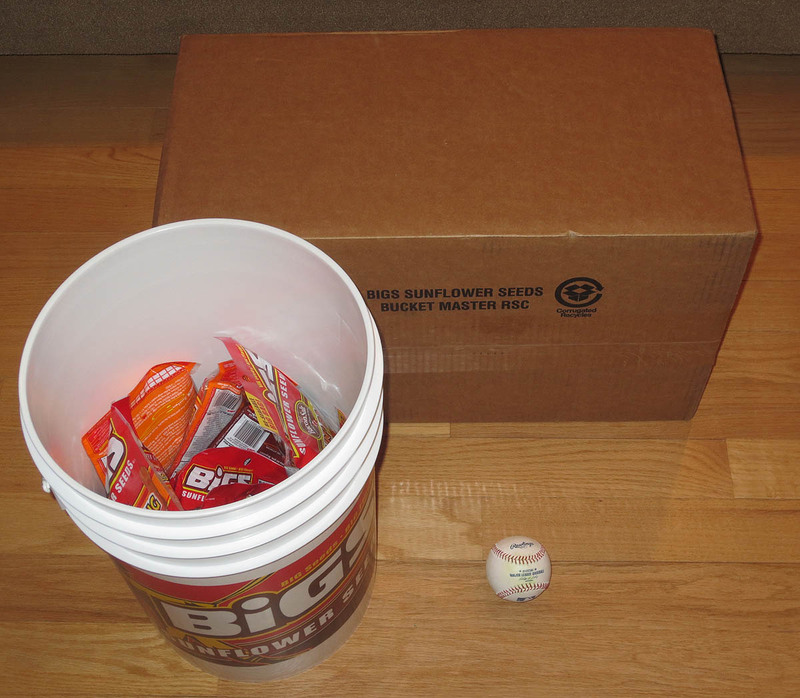 (BIGS Sunflower Seeds is sending me to Angel Stadium on April 21st, PETCO Park on April 22nd, AT&T Park on April 23rd and 24th (when the D’backs will be there), and Safeco Field on April 25th and 26th. If you’re going to be at any of these games, find me. There might be some free seeds in it for you.) Heath asked when I’m planning to be at Chase Field. I said I’d let him know, and that was pretty much the end of it. As I was walking back up the steps, I heard him shout my name. I turned around and saw him back in the outfield. “Text me!” he yelled, and I gave him a thumbs-up. 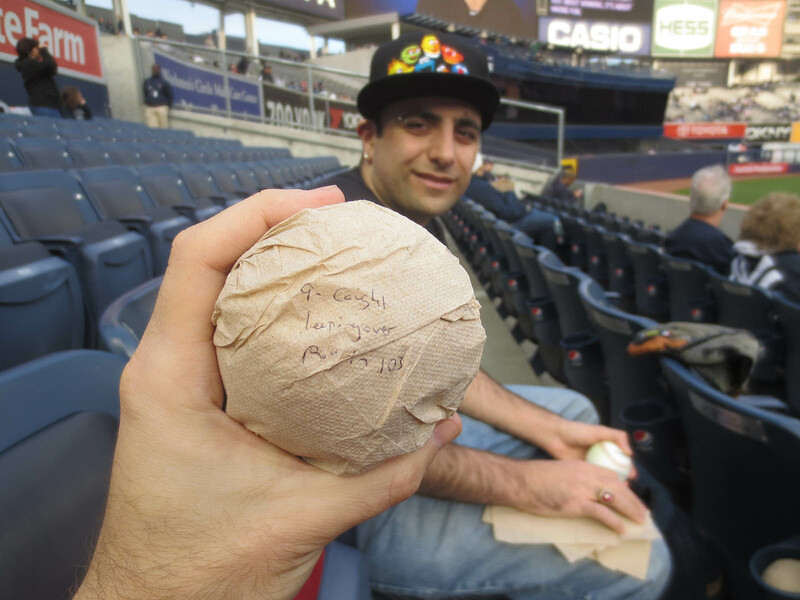 I don’t know how many home run balls I missed during the 10 or 15 minutes that we were chatting, but it was worth it. I seriously love that man. Halfway through the Diamondbacks’ portion of BP, I headed to right field and had to compete with my friend Ben Weil. 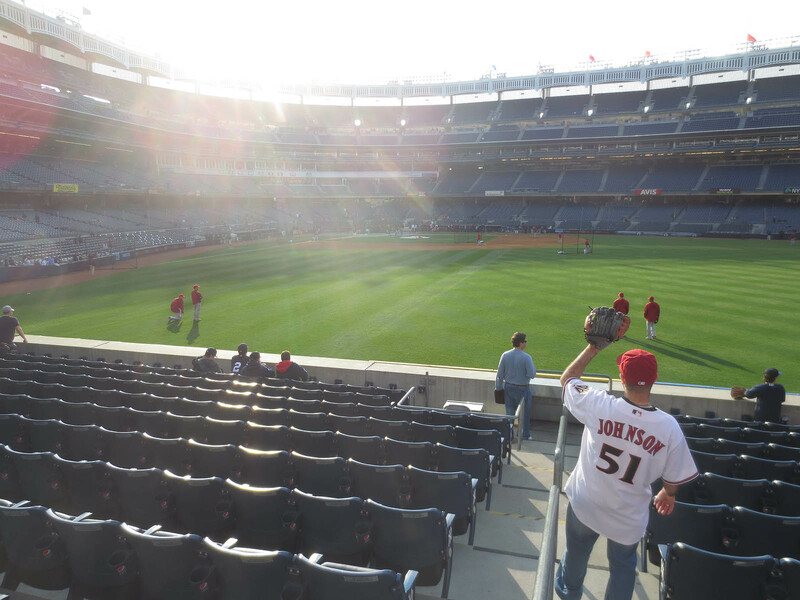 In the following photo, he’s wearing the Randy Johnson jersey. “Yeah,” I said and held up the replacement ball. He then tossed down my precious milestone ball, and I tossed him the pearl. That was a huge relief for me, and he was even more excited than before. Back in left field, I caught one final BP homer on the fly. Once again, I have no idea who hit it. It was a righty, and I made a nice play on it, but only because I misjudged the ball in the first place and had to recover. 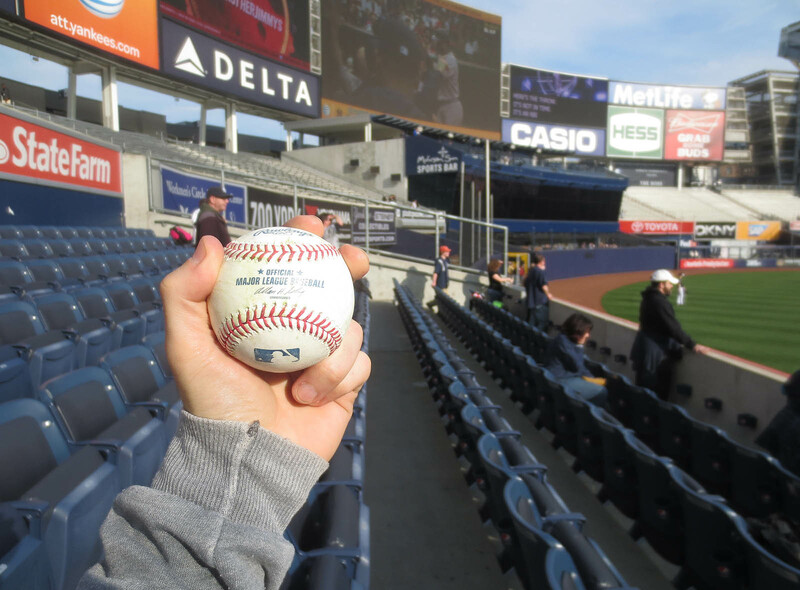 Basically, when it was hit, I moved down a row, but then as the ball was approaching, I realized that it was going to sail a bit over my head, so I climbed back over a row of seats (which, evidently, is now a felony at Yankee Stadium) and then jumped as high as I could and caught it back-handed and then pretty much fell over in a belly-flop position onto the empty row of seats behind me. My right knee is now bruised as a result, but it was totally worth it. Thankfully, the security supervisor (who had told me two days earlier not to climb over the seats) didn’t see any of that. 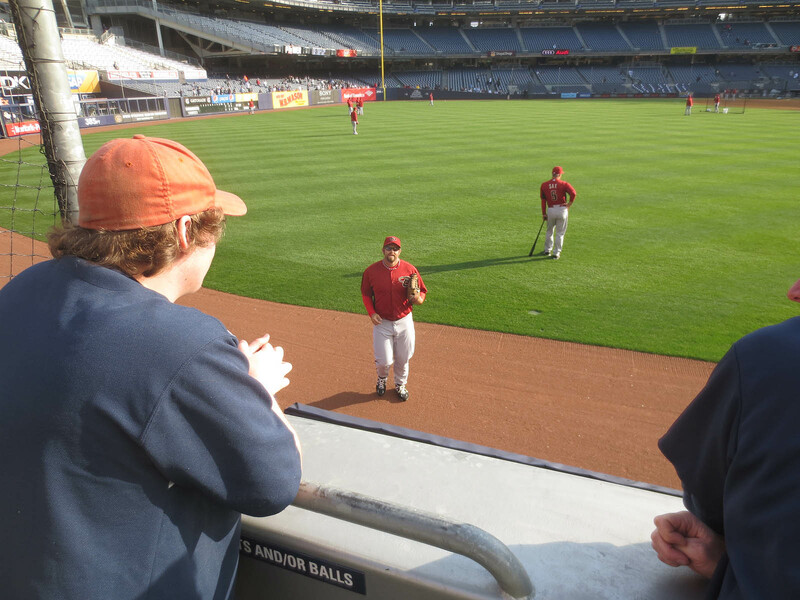 Ben had never reached double digits at the new Yankee Stadium, and because he was nice enough to give me an extra ticket in left field, I let him go for the pre-game t0ss-up from the bullpen. Later in the game, he got another ball and ended the day with 11. We try to stay out of each other’s way and not rob each other. Sometimes we can’t help it, though, and then we just end up trash-talking and laughing like hell. 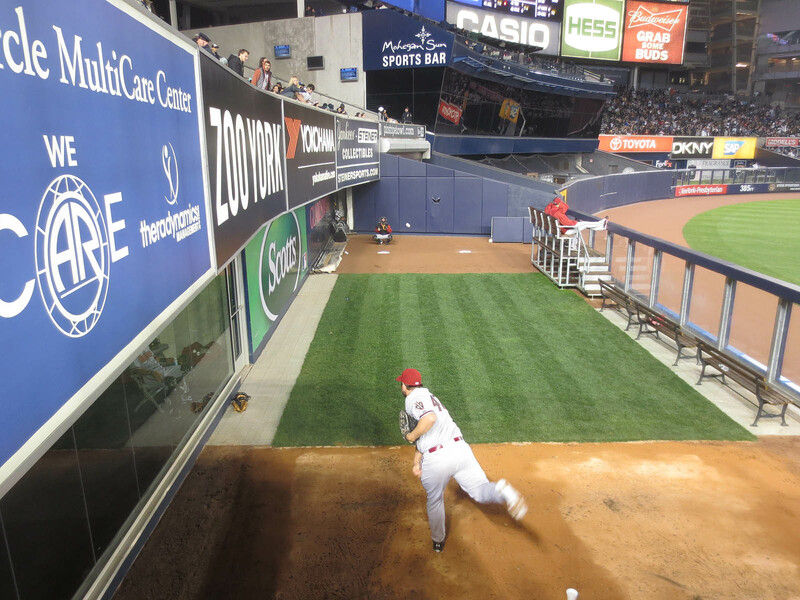 Heath Bell wasn’t kidding when he declared that he’s “back on track.” Here’s a photo of him warming up in the bullpen . . .
. . . before entering the game in the bottom of the 8th inning and striking out the side. Now, I know what you might be thinking: how can someone with an ERA of 9.00 claim to have it all figured out? Well, okay, fine, that *was* his ERA at the start of the night. He had allowed four earned runs in four innings (three of which came in his very first outing in which he worked just one-third of an inning). Now his ERA is down to 7.20, and if he pitches another scoreless inning or two, he’ll be back in the land of respectability. Meanwhile, in five total innings of work this season, he has walked one batter and struck out ten. That’s pretty damn impressive, so let’s just see how it goes. In the photo above, did you notice the “4” on his back? The Yankees were celebrating Jackie Robinson Day. Normally it takes place on April 15th, but because these two teams didn’t play that day, all the players were wearing No. 42 at this game instead. The Yankees ended up winning, 4-2. Robinson Cano (who was named after Jackie Robinson) hit a three-run homer, and Mariano Rivera notched his 611th career save. 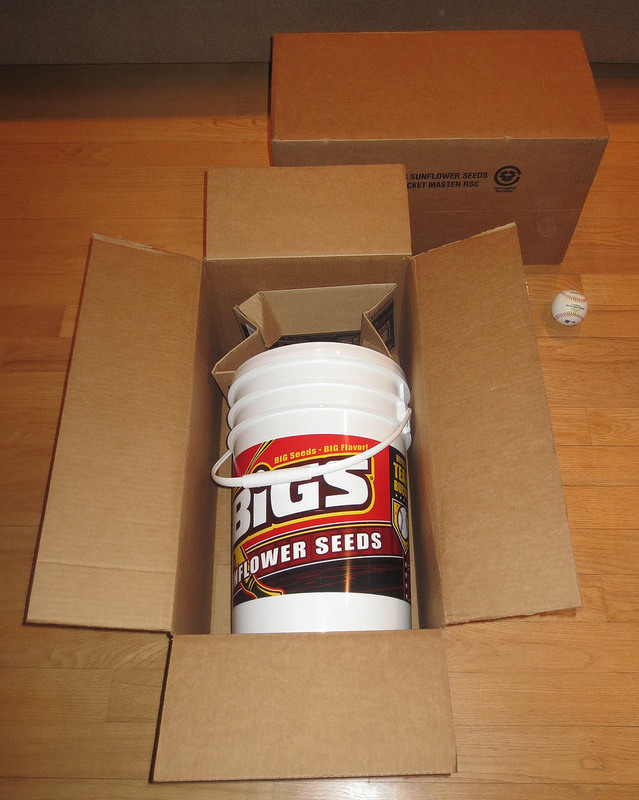 It was a bucket of seeds. Here’s a peek inside . . . I do like seeds, but I gotta say that I’ve always been an “original” kinda guy. I never really got into flavored seeds, but I’m willing to give all this stuff a shot. 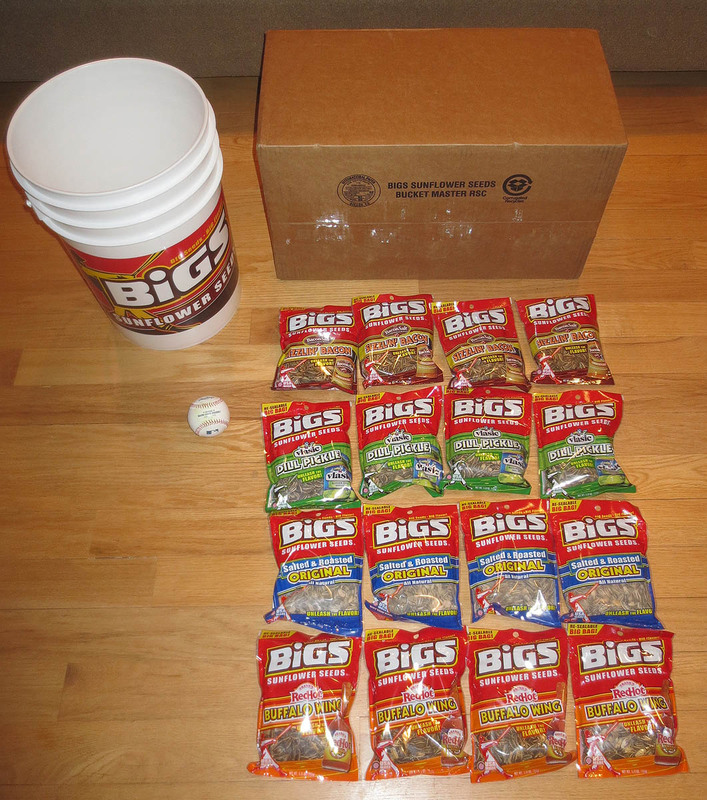 And for the record, the folks at BIGS didn’t ask me to photograph the seeds and blog about it. They said I could do whatever I wanted with them, but I *did* want to blog about it. I’m excited. Free seeds! What’s not to like? 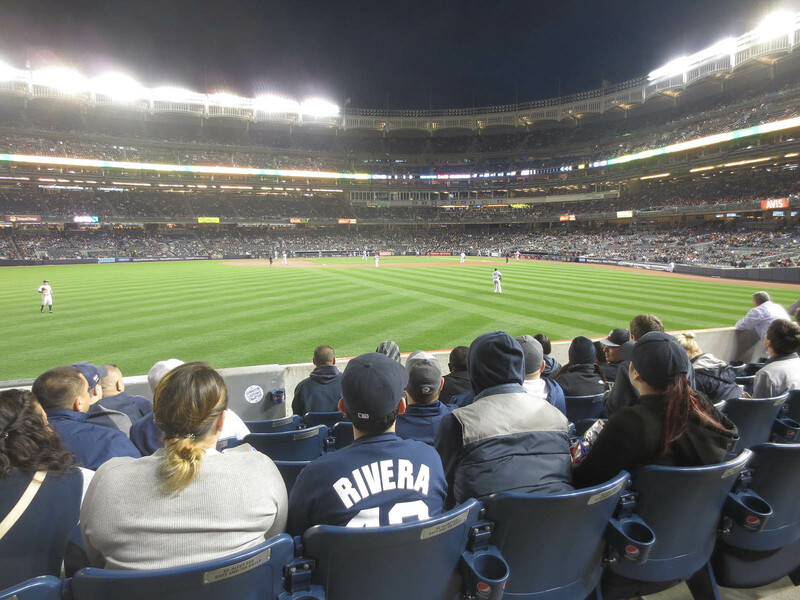 You know how much I blog about my food in general — ballpark concessions, unusual meals when I’m traveling, my plate at most Thanksgivings, and so on. 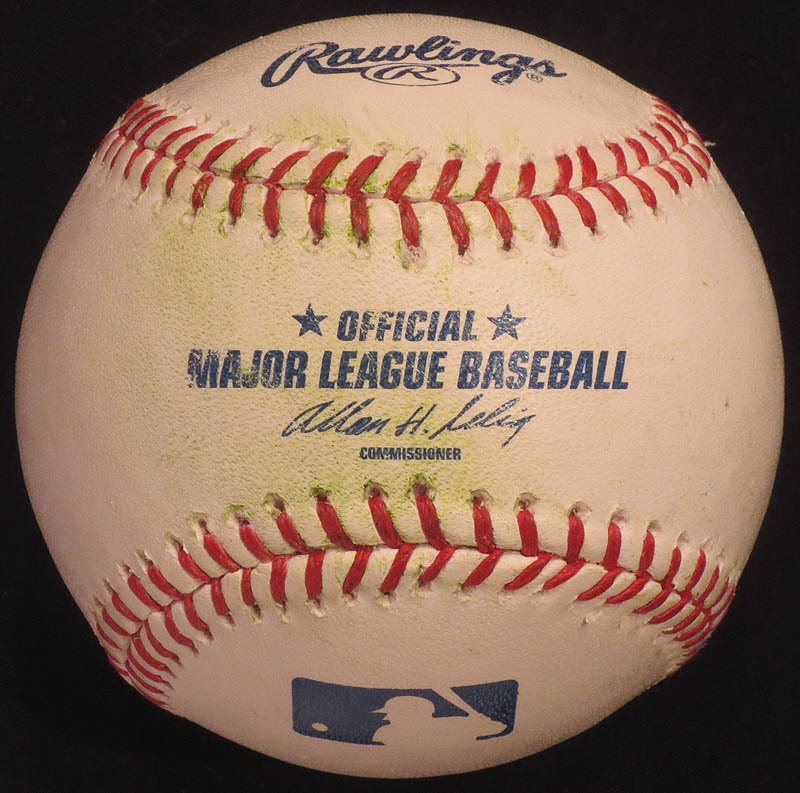 Anyway, here’s a closeup of my 6,500th ball . . .
That’s it for now. I have a zillion things to do, and I’m heading back to Yankee Stadium in a few hours. • 42 balls in 6 games this season = 7 balls per game. Zack, it’s great to hear that your bromance with Heath is going so well! A couple of topics that I would interested in you and Heath to write about is the personal side of the challenge to make it to the major league AND staying, and how a professional athlete handles his own appreciation for other athletes they admire in their sport or a different one, and how they connect (if they connect). Do athletes stop being fans because they are professional athletes? How does Health feel about Mariano? Does he talk to him before or after a game? Do they trade stuff like soccer players trade jerseys after a match? Etc. Too funny about your 6,500 ball! Good thing the kid didn’t take off right after you flipped it to him! Hey Zack, can I get in on this book thing with you and Heath? Or at least get an autographed copy? I’d totally write a story about it when it’s published. I wanna profile Heath sometime too. Zack your man crush is hilarious. So got a new gf? Funny Zack, when I interviewed you for my radio show, you said you had no fully developed plans for a book (then again, the cell signal got scrambled so I couldn’t understand a word. Two things: you need to get Jeremy Guthrie in on this and you need to send me a copy when you do write a new book. And another thing. 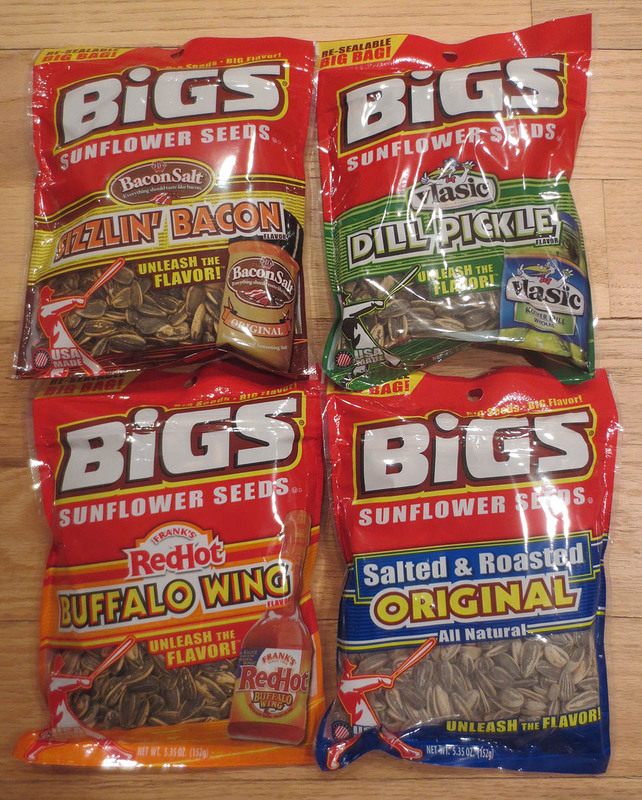 I want those bacon flavored sunflower seeds. If only you were going to the Mets reds game on may 22. I’ll let you know when I’m going to be at some Mets games this summer, okay? Hey Zack: I’m planning to go to the Yankees-D’Backs game on 4/18. I am also a good friend of Heath’s. Good luck with the book ; I would ask to join in but I am only 12……. Love your posts and keep up the good work! Heath is a great guy. I miss him in SD. Huston Street just doesn’t do it for me. Zack , Its Mike Simpson from San Diego, Wish we could meet up next week when you are in town, but my son has a little league game. Still follow you on Twitter, message me. 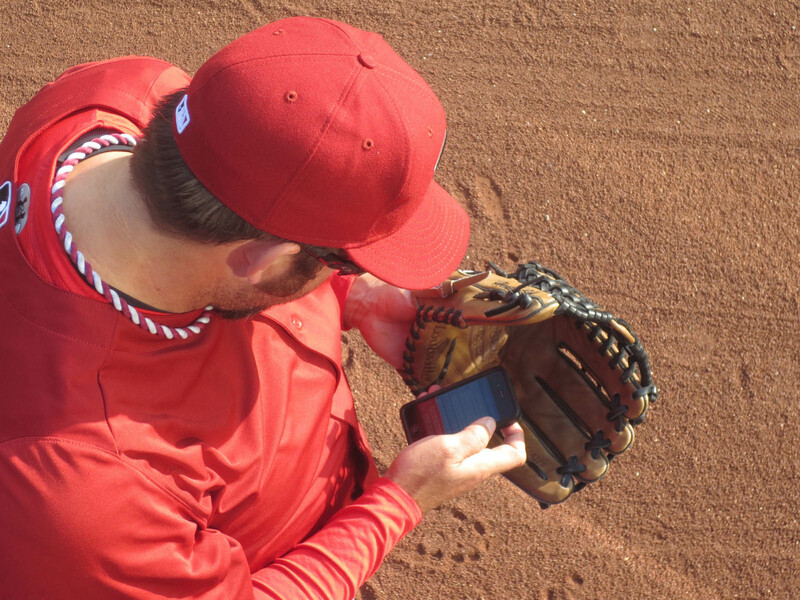 You may have a new career as Baseball’s Ghost Writer. Shall we start thinking of punny names for Heath’s book? Heath’s Ledger? Nah, too soon. I did notice and enjoy the Sesame Street cap! I’m sure it goes over well with both teams too. Very non-partisan. Super cool interaction with Heath Bell. Good ideas. I would love to ask Heath about that stuff, though I don’t know when. We usually seem to have a long chat the first time we see each other each season, and then we just kinda wave from afar. Might need to wait until 2014. Disturbing? Hell no! It’s beautiful. There is no official book deal with Heath Bell. This was the first time we ever discussed it. If it ever happens, it probably won’t even be discussed again for another year or two or three, and even if we both agree to do it, there’s no guarantee that any publishers would want it. 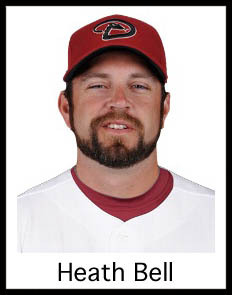 How could I have time for a girlfriend when I’m man-crushing so hard on Heath Bell? I wasn’t lying when I said I don’t have a fully-developed plan. The book with Heath isn’t a plan; it’s only a shaky idea at this point. I’m full of ideas, but have yet to actively pursue any in regards to another book. Let me know when you’re gonna be at NYC games. I’ll try to bring some bacon seeds. Cool. How do you know Heath? Guess I’ll be seeing you in a few hours. Street strikes me as particularly unfriendly. What’s up! Sorry I’m gonna miss you. Do I follow you on Twitter? What’s your user name on there? It wouldn’t be non-partisan if, let’s say, a player preferred Fraggle Rock. Met him at Marlins spring training. Just ask him about Tyler. Thanks for giving me recognition. And I wrote leaning over rail, not leaping. I would never leap over. And yeah, your catch that bruised your knee WAS worth it, cause it was an awesome catch.